Hafiza Becum, 21, and Shumi Becum, 20, both worked at the factory for 1 year. They both have a son each, abut Hafizas son has to live with her husbands parents back in their village. – i would have liked to work in the village instead, she says, but there are no jobs there. 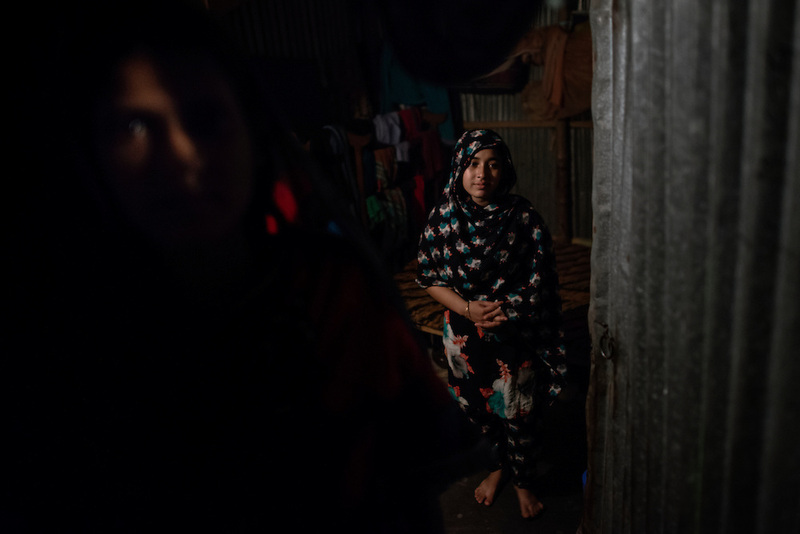 The minimum wages was raised in 2013 in Bangladesh, but the living wage, whats left to live on after expenses, is actually lower now than before 10 years ago, according to the women in 7 story slum in central Dhaka.